EVERY artist has the feel­ing of being at home in his studio, every patriot at home in his own country; and every man at home in his house. One should therefore expect that the Crea­tor would be at home in His own creation, and that God should be at home in the world He had made. And yet the most startling fact of human history is that when God came to earth He was homeless at home. “He came unto His own and His own received Him not” (John 1:11). Ere yet the great portals of the flesh swung open, Mary and Joseph sought in vain for a place where might be born the One to whom the heavens and earth belonged. And so when human history shall have written its last word in the scrolls of time, the saddest line of all will be: “There was no room in the inn” (Luke 2:7). There was room in the inn for those who bore on their breasts the screaming eagles of Rome; there was room for the daughters of the rich merchants of the East; there was room for all clothed in fine purple and soft garments; there was room for everyone­ except the foster father and the mother of the One who was to bring redemption to the world. And so away from the Inn, and out to the stable they had to go, to a crude cave into which shepherds drove their flocks in storms. In that little haven, with manger beasts as companions, and at a central point between the three great civilizations of Memphis, Athens, and Rome, something happened – the only thing in the world that ever happened and mattered. That which happened was nothing less than Heaven being found on the earth as the Cry of a God cried out in the cry of a Child. A startling paradox indeed: When God came to earth there was no room in the inn, but there was room in the stable. What lesson is hidden behind the inn and the stable? What is an inn, but the gathering place of public opinion, the focal point of the world’s moods, the residence of the worldly, the rallying place of the fashionable, and those who count in the man­agement of the world’s affairs? What is a stable, but the place of outcasts, the refuge of beasts, and the shelter of the valueless, and therefore the symbol of those who in the eyes of public opinion do not count, and hence may be ignored as of no great value or moment? Anyone in the world would have expected to have found Divinity in an inn, but no one would have expected to have found It in a stable. Divinity, therefore, is always where you least expect to find It. If in those days the stars of the heavens by some magic touch had folded themselves together as silver words, and announced the birth of the Expected of the Nations, where would the world have gone in search of Him? The world would have searched for the Babe in some palace by the Tiber, or in some gilded house of Athens, or in some inn of a great city where gathered the rich, the mighty and the powerful ones of earth. They would not have been the least surprised to have found the new-born King of Kings stretched out on a cradle of gold and surrounded by kings and philosophers paying to Him their tribute and obeisance. 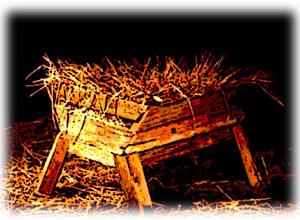 But they would have been surprised to have discovered Him in a manger laid on coarse straw and warmed by the breath of oxen, as if in atonement for the coldness of the hearts of men.No one would have expected that the One whose fingers could stop the turning of Arcturus would be smaller than the head of an ox; that He who could hurl the ball of fire into the heavens would one day be warmed by the breath of beasts; or that He who could make a canopy of stars would be shielded from a stormy sky by the roof of a stable; or that He who made the earth as His future home would be home­less at home. No one would have expected to find Divinity in such a condition; but that is because Divinity is always where you least expect to find It. I wonder if that is not the reason why the modern world misses the discovery of Divinity. There is no doubt that it is seeking Divinity if for no other reason than because it feels its own insufficiency and craves a God who will bring pardon for its sins and healing oil for its wounds. It seeks a Divinity who will deliver it from the terrible restlessness and emptiness of life. But where does it seek that Divinity? It seeks it in the inns where gather the publicized, the prop­agandized, the popular, and the modern. The modern world looks for Divinity and the solu­tion of its ills in the Superman of H. G. Wells, in the Humanism of Irving Babbitt, in the Sexualism of Sigmund Freud, in the Cynicism of Bertrand Russell, in the naturalism of modern religion, in the book of the month, in the reinterpreted Christ, in the new morals, in the new psychology, in the new science; but in none of these inns is Divinity to be found. As it was not in the inn in the first century, so it shall not be found in the inn of the twentieth century, for what is true of the first day is true of our own: Divinity is always where you least expect to find It. Suppose now that it was suggested to the modern world that the Divinity it seeks is to be found in the Church. . . .— suppose, I say, that such a startling declaration was made to our day and age — and such a statement is just as true as it is startling – what would be the answer of the modern world? It would say: “That is absurd. The Church is antiquated, unmodern, behind the times; it is ig­nored by all the great Universities of our land; its dogmas are myths; its moral, passe. . . . Why should truth be sought in that which the world ignores? No one today ever thinks of going to the Church in search of Divinity. But that is just ex­actly what the world thought in the first century. No one ever thought of going to a stable in search of the Truth and Life of the Son of God. But that is most likely where it is to be found, for Divinity is always where you least expect to find It. The world has always missed Divinity either be­cause it has sought it in the wrong places, or because it has ignored the “Wrong things. It has sought Divin­ity in Power, in Popularity, in Progress, in Science; it has ignored the possibility of ever finding it in sim­plicity, in the unexpected, in defeat, and in frailty. And yet the sign of Divinity will always be the sign of seeming weakness – “T’his shall be a sign unto you” (Luke 2:12). A Babe wrapped in swaddling clothes, lying in a manger.” (Luke 2:12). The world has always sought Divinity in the power of a Babel, but never in the weakness of a Bethlehem; it has searched for it in the inns of popular opinion, but never in the stable of the ig­nored) it has looked for it in the cradles of gold but never in the cribs of straw. Always in Power, but never in weakness. But Divinity came to earthly life in the form of a helpless Babe, and left it in the form of a helpless Man. If God, therefore, is to be found by us, He must be sought in weakness and defeat, but a weakness under which there is Power, and a defeat after which there is Victory. God will be found only by those who sing the Hymn of the Conquered and search the forgotten stables and scan the ignoble crosses. Excerpted from the chapter, “The Homeless at Home,” The Moral Universe: A Preface to Christian Living. 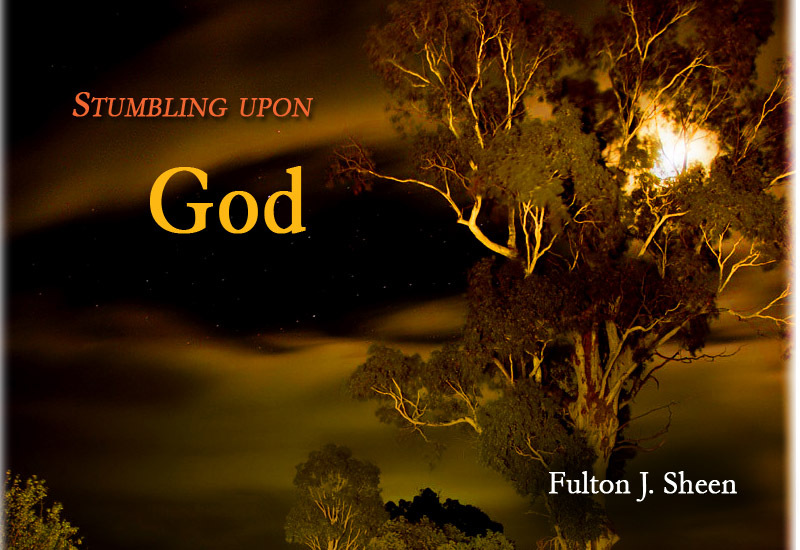 Although written by Fulton J. Sheen in 1923, the relevancy is striking and immediate.